Anne is available for three modules of yoga teacher training: anatomy, restorative, and chair yoga. She has standing dates at area studios and additional availability for your teacher training program. Please contact Anne for more information. Provide your trainees with anatomy instruction geared to meet the needs of yogis and yoginis with either extensive backgrounds in anatomy or none at all. Trainees often dread the anatomy section of training, when in fact this should be the most essential segment of training. Appropriate anatomy instruction provides emerging teachers with a solid foundation to begin their journeys as students curious about the wondrous human form that connects us with the present moment. Provide your trainees with an understanding of common physical challenges and suggestions for modifications and improvements. As teachers continue along their learning and teaching journeys, advanced skills in assessing movement patterns, understanding contraindications, and skillful cueing become more critical – especially as different students in a class often require different approaches to build stability in yoga asanas. Restorative Yoga fills a dire need for rest in our frantic, fast-paced society. Make sure your trainees understand this critical style of yoga that is often taught but frequently misunderstood. Restorative yoga is designed to down-regulate our nervous system in a very specific protocol that doesn’t involve stretching or strengthening but complete support and deep rest. 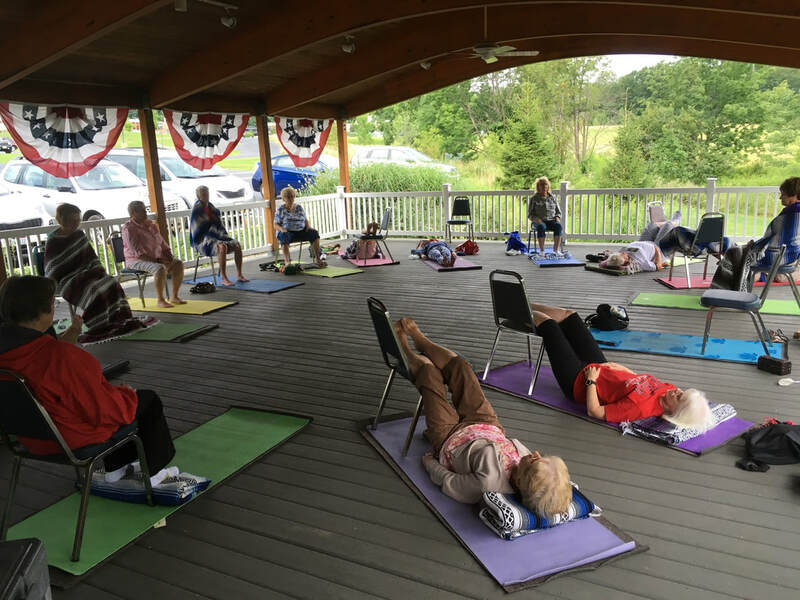 With an average of 10,000 people turning 65 every day, the popularity and need for chair yoga continues to grow. Make sure your trainees understand this style of yoga and receive direction in teaching older yogis and yoginis with their particular challenges and strengths. "Anne's advanced teacher training offerings are backed by years of education with top-notch experts across multiple disciplines, giving her a comprehensive understanding of anatomy, therapeutics, restorative, and chair yoga."